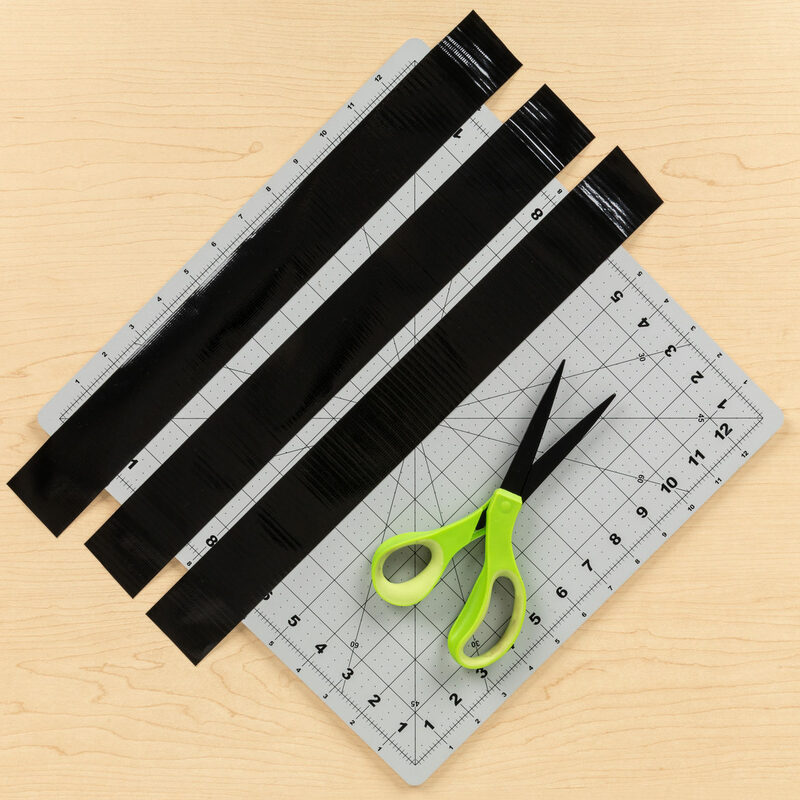 Cut strips of Black Duck Tape® to fit on the front and back of the tee shirt. 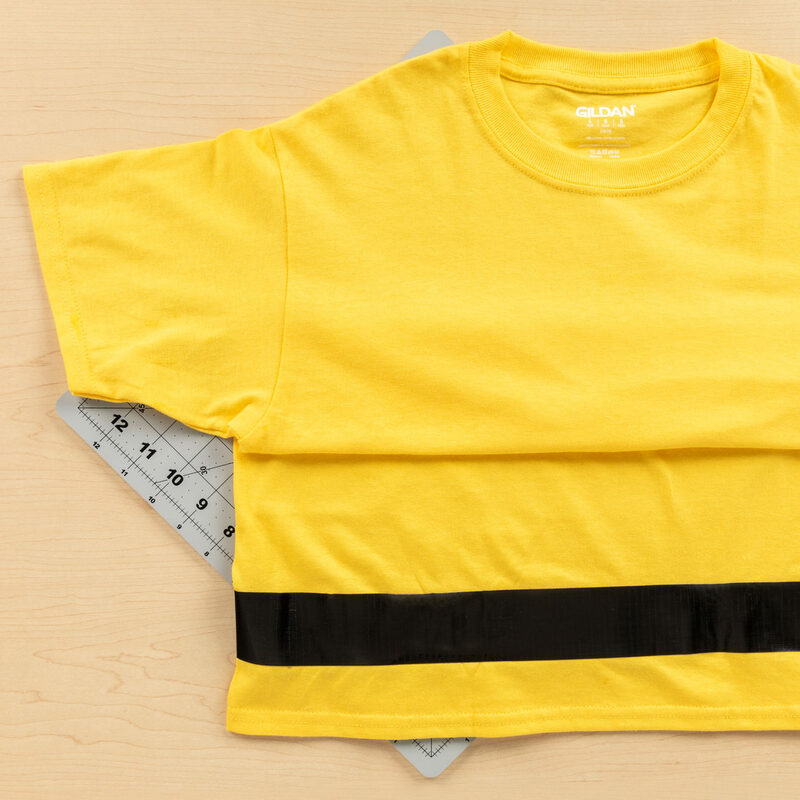 Carefully place the stripes onto the shirt. 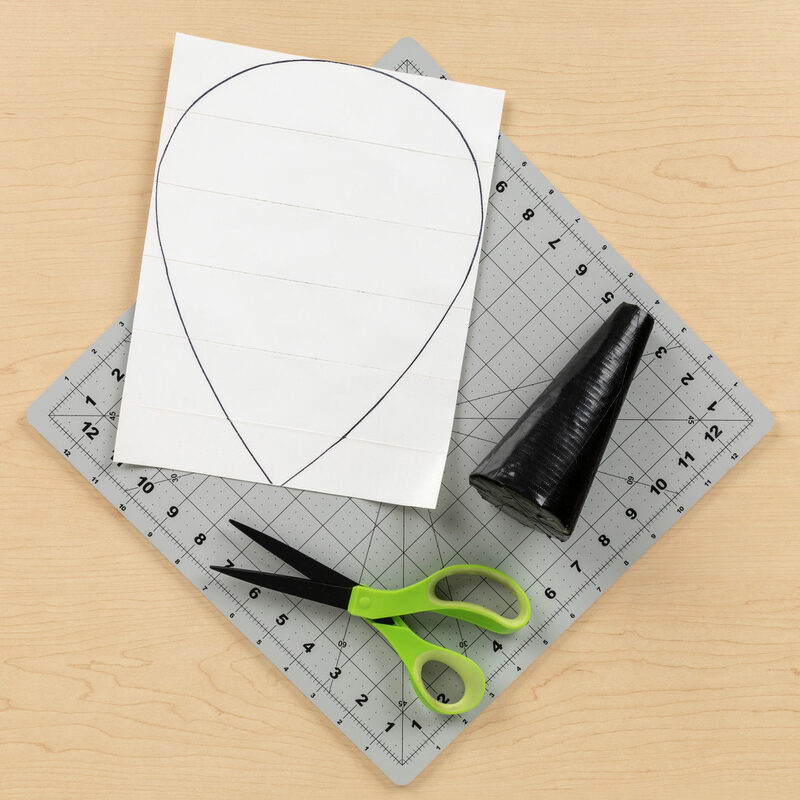 Cover a piece of cardboard with White Duck Tape® and cut out wing shapes. 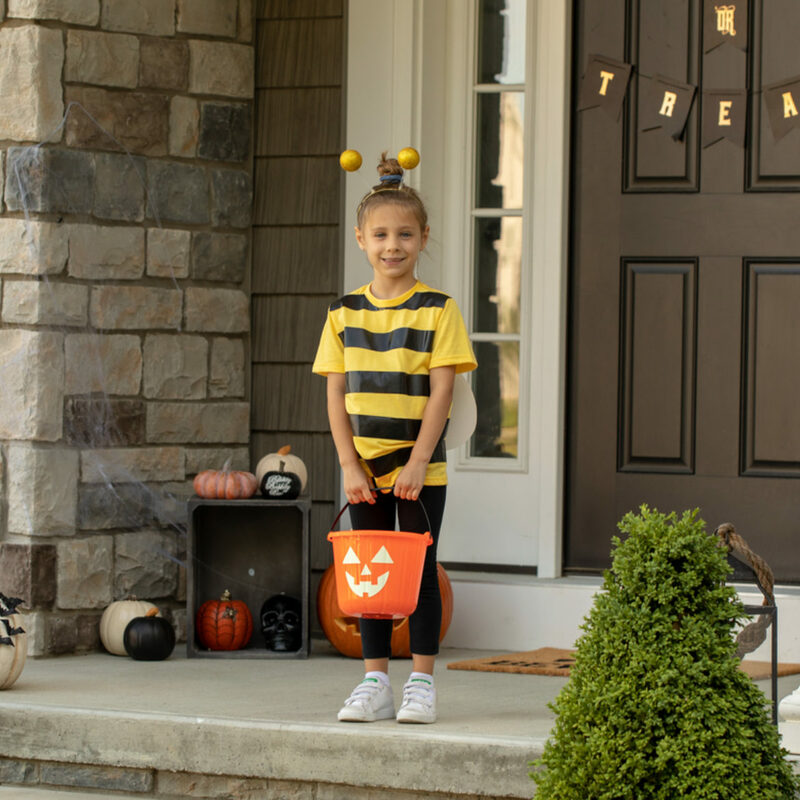 Then, cover the styrofoam cone with Black Duck Tape®. 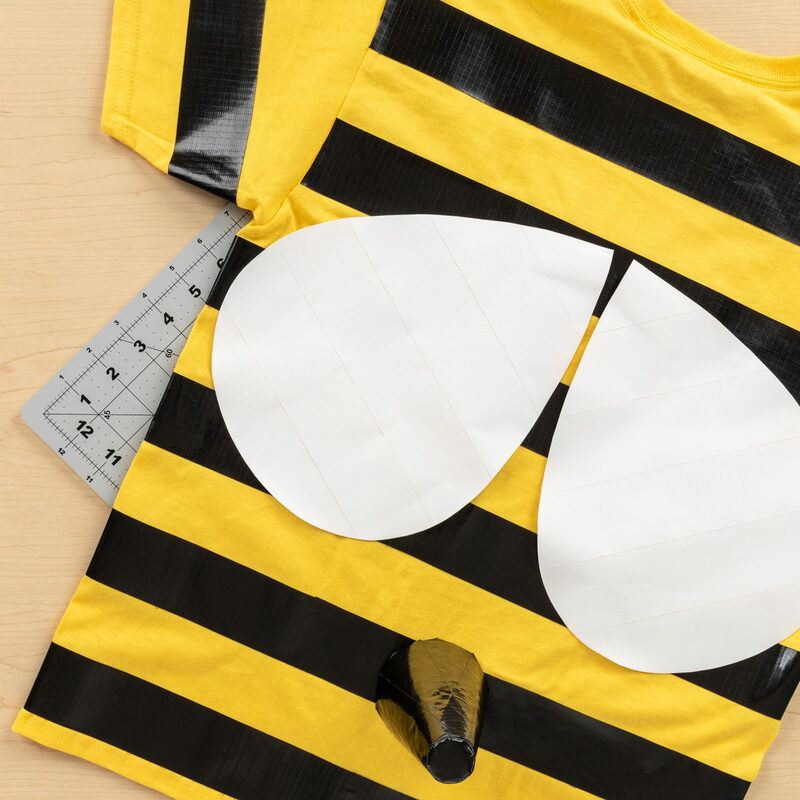 Attach the wings and cone to the finished tee shirt, and you're ready to for a fun night of trick-or-treating! Spacious and trendy, this accordion wallet is great to take wherever you go!